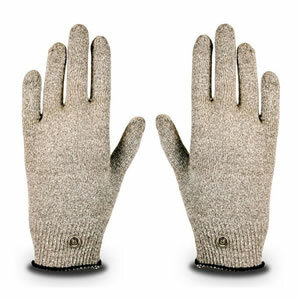 Woven with a special conductive thread for even stimulation distribution and maximum comfort and efficiency. This product works with most electronic stimulators. One stretch size fits all. Free gift included - 8 oz Generic Electrolyte Conductivity enhancer.